Mesa Verde National Park in Southwest Colorado is a UNESCO World Heritage Site of Ancestral Pueblo Indian dwellings. Susan Cohn photos. Companion Rock (left) and Chimney Rock (right) sit 7,000 feet above sea level within Chimney Rock National Monument. The town of Mancos, eight miles from the entrance to Mesa Verde National Park, is a Certified Colorado Creative District. MESA VERDE NATIONAL PARK AND CHIMNEY ROCK NATIONAL MONUMENT: TAKE DAY TRIPS OF A LIFETIME FROM DURANGO, COLORADO. Southwest Colorado holds a wealth of archaeological sites with well-preserved evidence of native cultures. The charming town of Durango, less than 60 miles from Mesa Verde National Park (to the west) and Chimney Rock National Monument (to the east), is an inviting base of operations from which to explore these treasures. 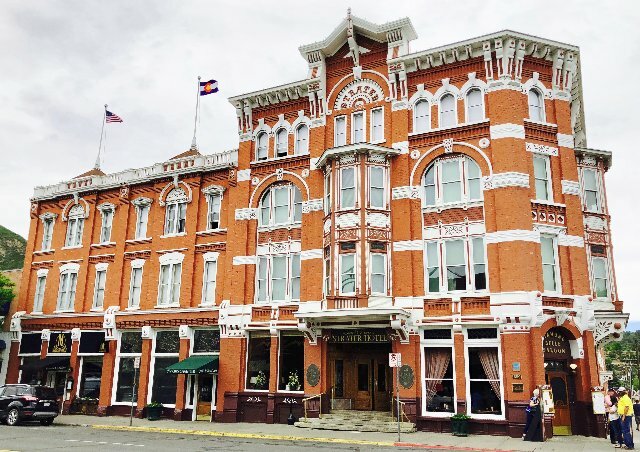 Durango’s main street is a National Register Historic District with galleries, boutiques, restaurants, and varied accommodations, including the 1887 Strater Hotel, where Western fiction author Louis L’Amour did much of his writing. At one end of the town is the depot for The Durango & Silverton Narrow Gauge Railroad, from which scenic train rides depart several times as day. Find Durango information at www.durango.org/discover-durango/national-parks-monuments. CLIFF PALACE AND SQUARE TOWER HOUSE AT MESA VERDE NATIONAL PARK. 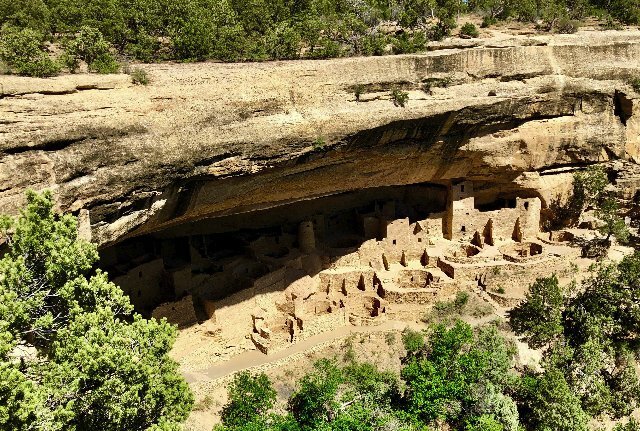 Spread over 52,000 acres on high plateaus (7,000 to 8,500 feet), Mesa Verde National Park offers a spectacular look into the lives of the Ancestral Puebloans who built their homes there from around 650 until about 1300 AD. The site was discovered in 1888 by cowboys looking for stray cattle and was made a national park by President Theodore Roosevelt in 1906. 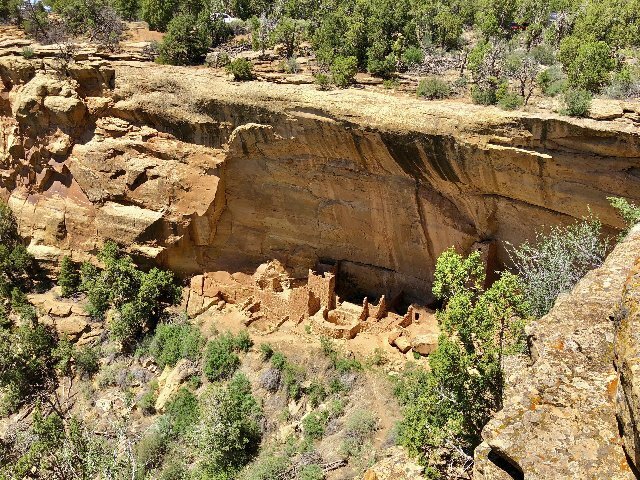 Now a UNESCO World Heritage Site, the Park protects almost 5,000 archaeological sites, including 600 cliff dwellings, the best known of which is Cliff Palace, the largest cliff dwelling in North America. Ranger-led tours are the only way to enter many protected sites. Tour tickets may be purchased in the park or at the Durango Welcome Center in Durango. For information, visit www.durango.org or www.nps.gov/meve/planyourvisit/tour_tickets.htm. Get a preview at https://www.youtube.com/watch?v=-T4i4XVgPVU. ARCHEOLOGY AND ASTRONOMY ALIGN AT CHIMNEY ROCK NATIONAL MONUMENT. Chimney Rock was a sacred place, a celestial observatory and a seasonal calendar for the Ancestral Puebloans between 925 and 1125. 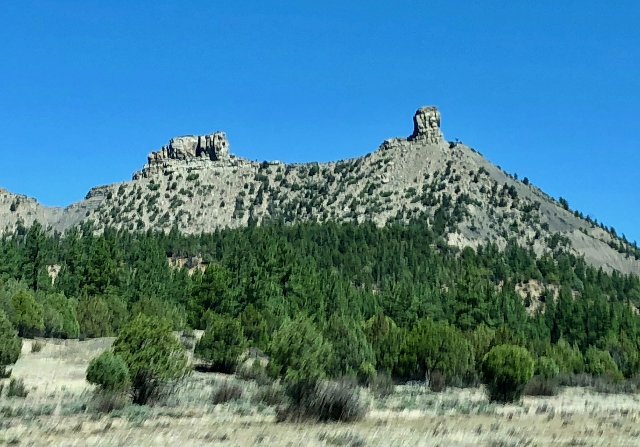 Hundreds of prehistoric sites dot the landscape around twin spires known as Chimney Rock and Companion Rock, both contained within the 4,500-acre Chimney Rock National Monument. The pinnacles align with the summer solstice, equinoxes and Crab Nebula, and, every 18.6 years, with the northern lunar standstill, when the moon appears to rise at the same location on multiple nights. Chimney Rock is thought to be the only place in the world with a geological formation that serves as a viewing platform for this phenomenon. 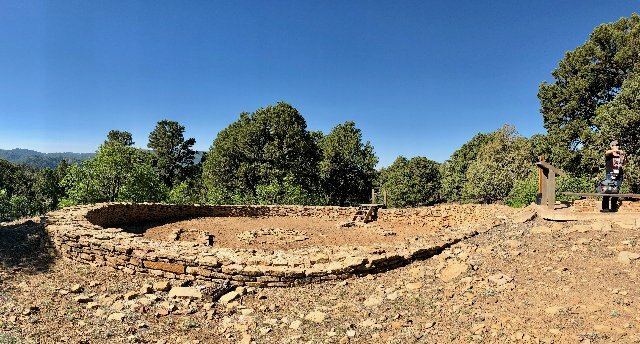 The people who lived at Chimney Rock were here for this purpose – to study the moon and the stars and the sun and their relationship to each other. AN ELEVATED ART COLONY IN MANCOS, COLORADO. Elevation 7,028…population 1336. Mancos, Colorado, on the road between Durango and Mesa Verde National Park, traces its roots to the ranching, farming and timber industries of the 1870s. Today, Mancos has art galleries that represent Colorado artists and shops that offer vintage and antique American Indian art and jewelry. A short walk from the galleries is The Bauer House, built in 1889 for George Bauer, who built the town's first store in 1881, stocking it with supplies brought in on pack mules from Durango. For information, visit http://mancoscolorado.com/ and get a look at Mancos at www.youtube.com/watch?v=Kf9tk8JRj-U. Too often. . .I would hear men boast of the miles covered that day, rarely of what they had seen. Louis L’Amour.